Summer’s in full swing, and things are just peachy for us! But we can bet that there’s one thing missing from your hot, summer cookouts and late night gatherings, and we’ve got the scoop. 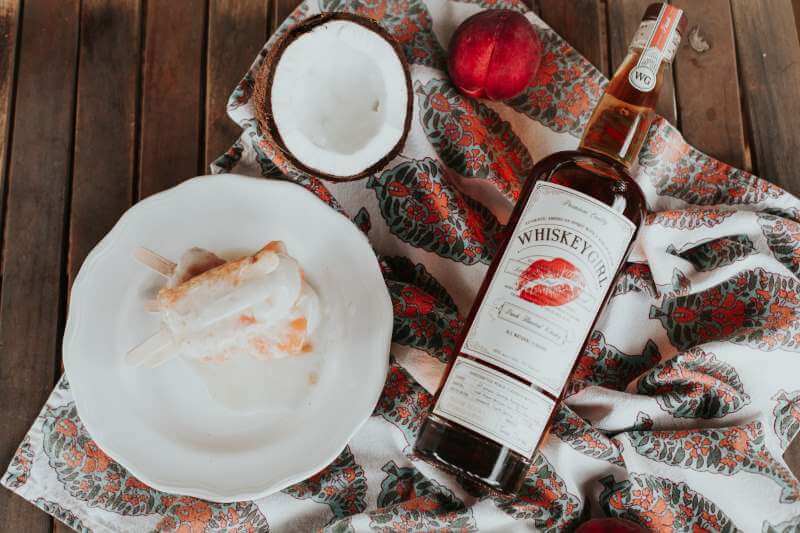 This week we’re sharing how you can make an easy summer snack combining two of our favorite things — popsicles and Whiskey Girl Peach. 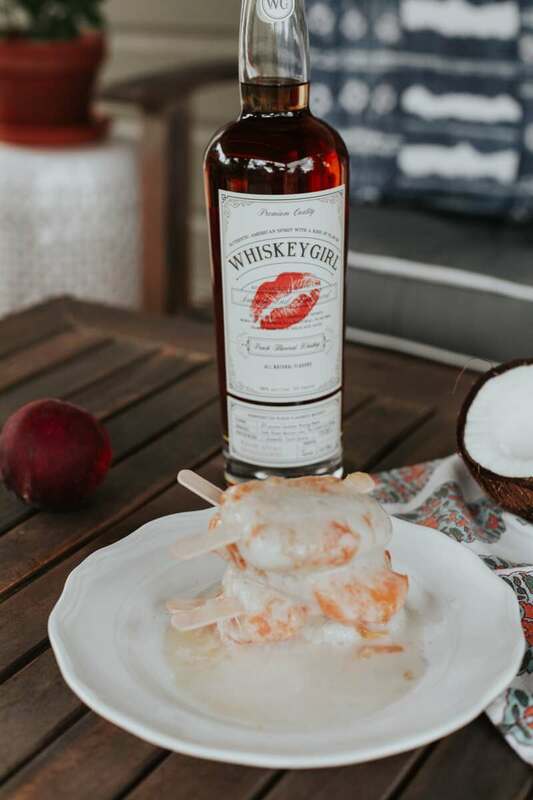 These cute treats are sure to be a crowd-pleaser that’ll disappear before they’ve had the chance to drip on your adorable white linen dress. Pour coconut milk into a saucepan and whisk to incorporate solids. Mix in sugar and vanilla bean paste and simmer about 5 minutes, stirring often, until sugar is dissolved. Remove from heat and allow to cool to room temperature. Add chopped peaches, sugar, and orange juice to a saucepan. Bring to gentle simmer and heat for about 5 minutes until peaches have softened slightly. Removed from heat, add Whisky Girl Peach, and allow to cool to room temp. 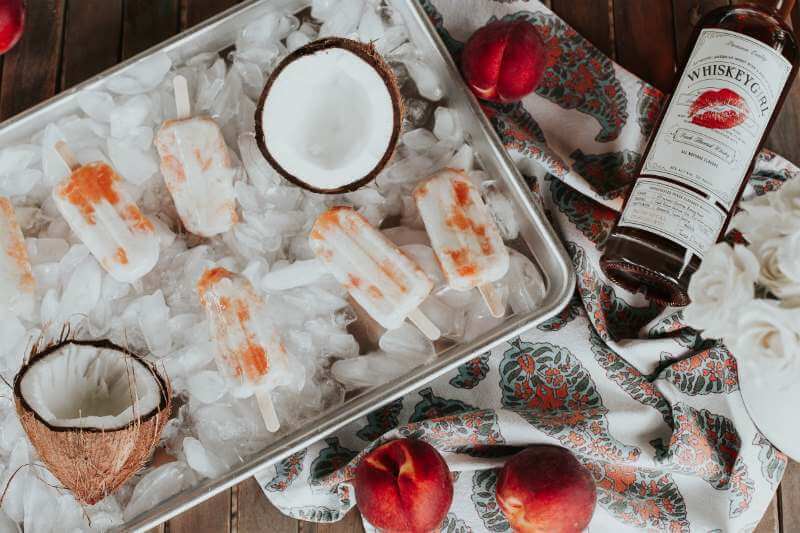 Fill popsicles molds with alternating layers of your cooled coconut and peach mixtures. We used this popsicle mold from Amazon, which holds your popsicle sticks in place. If using a mold which does not hold your popsicle sticks, freeze for one hour before adding your popsicle sticks, or try using a layer of alumni foil to hold them in place. Freeze popsicles for at least 4-5 hours. 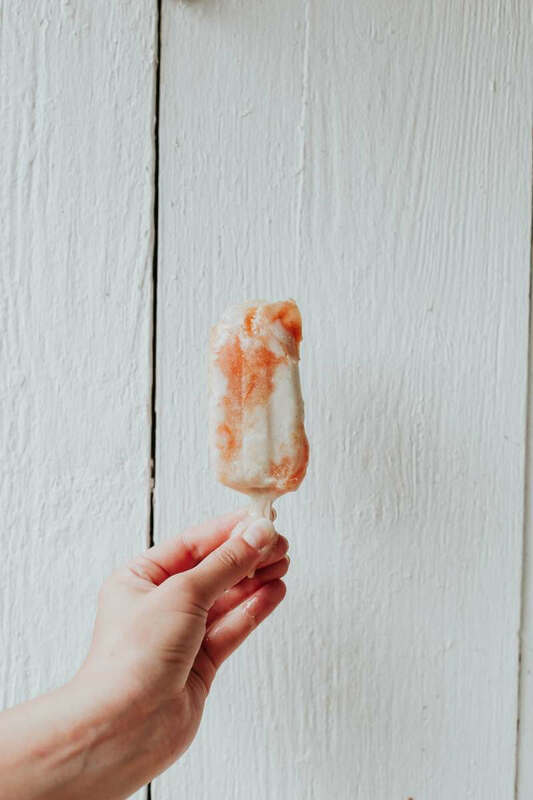 Before attempting to remove your popsicles from the mold, allow them to thaw slightly by leaving them on the counter for a few minutes or running the molds under warm water. Enjoy!